Scoobie Do was formed in the autumn of 1995 by two childhood friends, vocalist Koyama Shuu and guitarist Matsuki Taijirou. The year after, MOBY joined on the drums. Scoobie Do started writing their own music and published several demo tapes. Few years passed and finally Scoobie Do was picked up by KOGA Records in 1999. Their first maxi-single Yuuyake no Melody came out that autumn. Soon after they held their first one-man concert at Shibuya Quattro, and released the second maxi-single No.3, this time with DECKREC record company. 2001 was a year of success for Scoobie Do. It was during this year that they became recognized as a mainstream band. Their album beach party debuted at third place on Tower Records indie chart. After this, Scoobie Do started their first one-man tour in Tokyo and Osaka and signed a contract with major label, Victor Entertainment Speedstar. Their first major release was the mini-album GET UP in summer 2002. They performed at RUSH BALL 2002 festival with many popular bands, such as Bump of Chicken and Husking Bee, and few weeks later at SWEET LOVE SHOWER 2002 festival with, for example, Kick the can crew. In November, the maxi-single Rojou no Hardboiled came out. Scoobie Do’s first full-length major album, Break Rock, was released in February 2003 and was followed by their nationwide tour later that year. 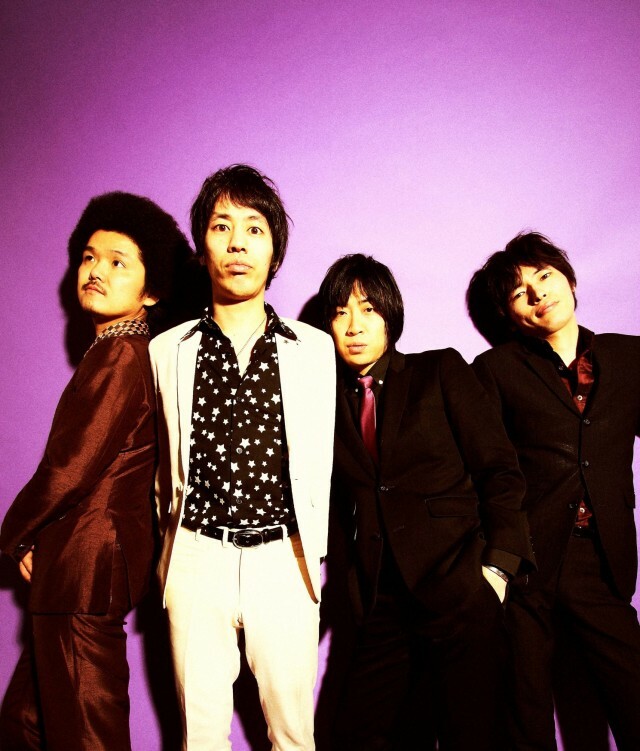 They held 25 concerts all over Japan and after the tour, played at major festivals, such as MEET THE WORLD BEAT 2003 and RISING SUN ROCK FESTIVAL 2003. Also, the maxi-single Last Number was released during this summer. Later, in the same year, came out yet another maxi-single, Kaze no Koibito / Akaneiro ga Moeru Toki, and Akaneiro ga Moeru Toki was the theme song for Gungrave anime. In April 2004, they released the single PARADE. One of Scoobie Do’s idols contributed to the single: the legendary group Tokyo Ska Paradise Orchestra. Next month, Scoobie Do was touring again all around Japan. In summer 2004, Scoobie Do’s second major album, Beautiful Days, was released. They performed a special acoustic live at the SUMMER SONIC ’04 festival. Another mini-album – or, as Scoobie Do calls it, a compact album – PLUS ONE MORE came out in March 2005. Soon, the band embarked on new tours and performed in various festivals. In Autumn, they held an extensive nationwide tour called Funk-a-Lismo. The album of the same name followed in January 2006 and only a few months after that, they released another album, the self-titled SCOOBIE DO. In July, Scoobie Do created their own, independent label called CHAMP RECORDS. During the rest of the year, they did a few collaborations with other artists and more live performances, which were recorded and released on two live albums. 2007 brought more performances and collaborations. Amongst these collaborations was a song with female pop star Ami Suzuki, which can be found on her album CONETTA. In April, they started on another extensive tour of around 20 performances, but also their mini-album Traumatic Girl was released in this month. This was their first release on their own label. Their second release on the label came in March 2008, namely the full album Parasitic Girl. Since then, Scoobie Do has been touring the country and is frequently performing at events.